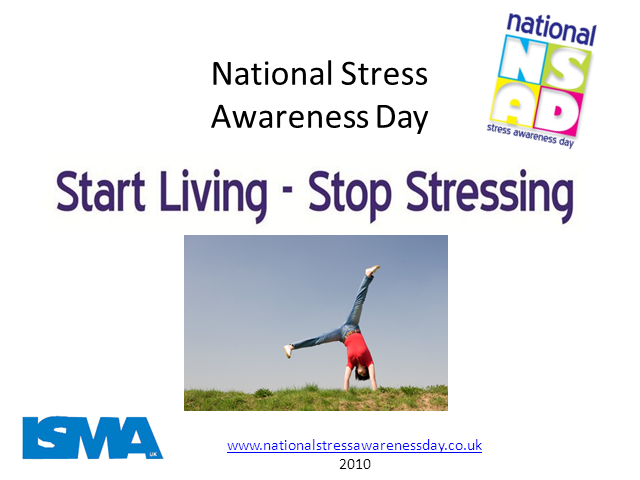 To celebrate ISMA's 12th National Stress Awareness Day, Stress Management Expert and ISMA Member, Annie Lawler gives insights, hints and top tips on 4 keys to stress-free living: Sleeping Well, Prioritising, Becoming Active and Valuing yourself. There'll be a chance to vote and to ask questions, plus a Special Offer. Don't miss it! Resgiter now. A webcast scheduled to run in conjunction with the 2010 ISMA Conference & Exhibition for delegates who would like to take part but who are unable to attend in person. Entitled “SUPERHUMAN TO SUPERHUMANE” the webcast is presented by ISMAUK member ANNIE LAWLER who will address how we can become more effective, perform better and enjoy every aspect of our lives more through mindset, exercise and relaxation.